As any facilities manager knows well, keeping on top of your washroom facilities is a challenge in a business of any size. From ensuring that toilet paper is always available, to keeping the facilities clean and well-presented, the task of washroom maintenance becomes even more demanding in a high-traffic washroom. Whether in a shopping centre, a university or large business, or even an events stadium or arena, washrooms with a high amount of footfall require close monitoring and frequent cleaning and replenishment to ensure that each and every guest enjoys the same quality of experience and convenience. 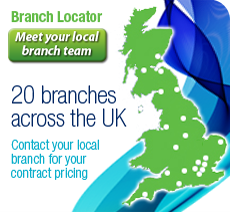 And thanks to innovative cleaning and maintenance solutions for high-traffic washrooms, some of which we will cover below, you can confidently take on the crowds. 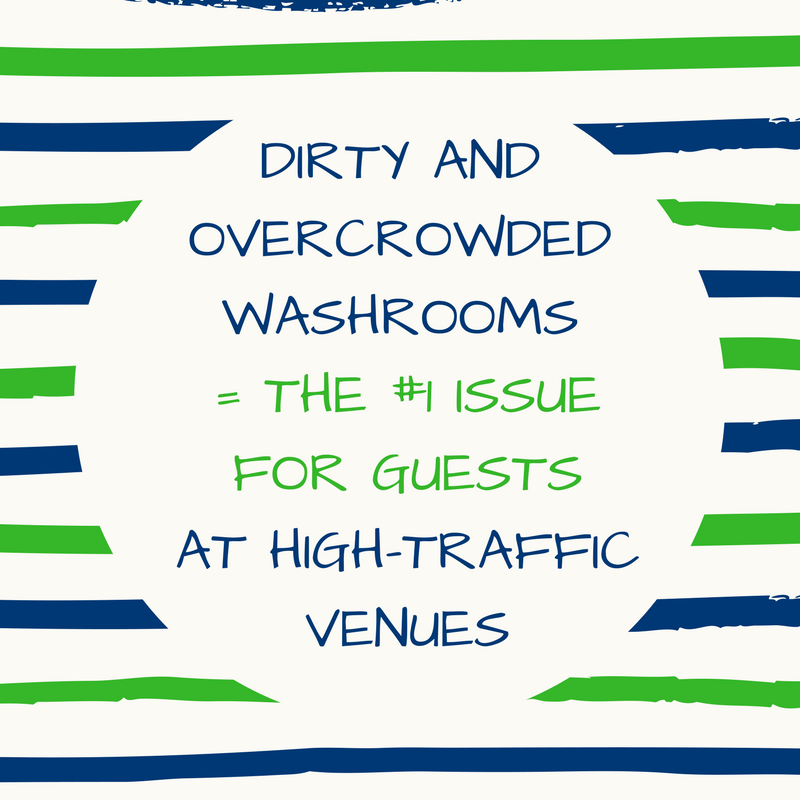 According to IPSOS research reported by Tork, dirty and overcrowded washrooms are the number one issue for guests at high-traffic venues. 71% of guests even reported that they have had a bad washroom experience at a large venue – meaning that most people have encountered a less than pleasant facility, which reflects poorly upon the venue itself. Even more concerning is the extent to which some guests will go to avoid using the washrooms at all. 1 in 3 guests admitted that at these types of venues, they will even limit the amount that they eat and drink in order to reduce their need to visit the washroom facilities. But aside from the cleanliness of the washrooms, their convenience is a concern for guests too. At entertainment venues and sports arenas, guests don’t want to spend any more time than is necessary in the washrooms, lest that they miss the main event; it’s crucial that your facilities are operating effectively and that dispensing products such as toilet tissue, hand towels and handwash are readily available, to prevent guest delays. To raise the standard of washroom dispensing in high-traffic washrooms, Tork have created the PeakServe Continuous Hand Towel solution. This innovative hand towel and dispenser system has been designed to provide up to 250% more hand towels for guests at any more time, extending the time required between refills, and lowering the consumption of hand towels thanks to the one-at-a-time dispensing design – ideal for any business that is always looking for ways to reduce their carbon footprint. The Tork PeakServe hand towels are compressed to fit double the amount of towels into less space in the dispenser, and when loaded, the bundles ‘latch’ onto each other so that they are dispensed continually and smoothly with no interruption. Available with a choice of a Black or White dispenser to complement your washroom décor, the Tork PeakServe Continuous Hand Towel solution guarantees to keep your washroom flowing, and elevate guest satisfaction. Complementing the Tork PeakServe hand towel solution is the Tork SmartOne toilet paper solution, which allows up to 98 more visits than a traditional jumbo toilet tissue roll. And thanks to its single-sheet dispensing design, toilet tissue consumption is reduced by up to 40%. A choice of closed dispenser styles, including Black, White and sleek Stainless Steel, keep your washroom style refined and the toilet paper sanitary. And reflecting the importance of hand hygiene in washroom facilities of all sizes, the Tork Spray Soap solution provides up to 1,000 doses of liquid hand wash per refill. Whether in Black or White, the quick and easy-to-use dispenser ensures that your washroom guests benefit from a consistently smooth visit, each and every time. Take a look at our complete range of Washroom cleaning products and supplies now, or why not take a read of our blog post ‘Making Sure Your Business is On a Roll: The Importance of Toilet Paper Supplies’ which will help you to understand why it’s so crucial to always keep a plentiful supply on hand!